Leadman Games is publishing both of DrinkBox Studio’s Guacamelee games into one, jampacked, physical edition called the Guacamelee! One-Two Punch Collection for the PlayStation 4 and Nintendo Switch. It will launch at retailers on May 28, 2019 for $39.99. This collection includes both Guacamelee! Super Turbo Champion Edition and Guacamelee! 2. Additionally, it comes with download codes for both soundtracks, a double-sided poster, and an instruction manual. 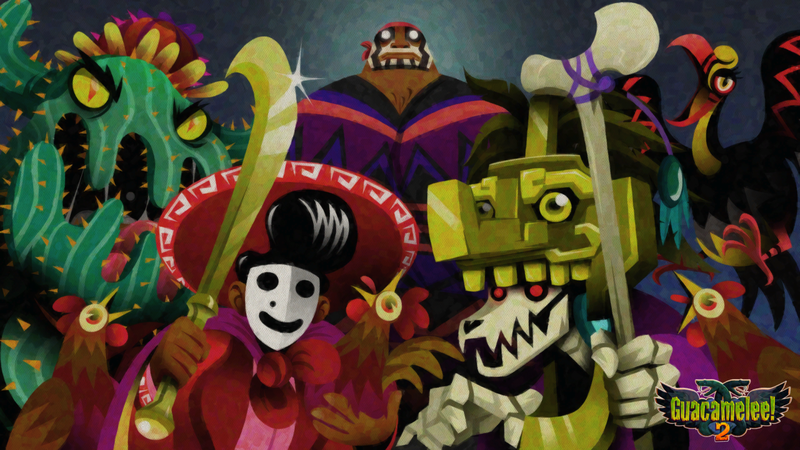 Drawing inspiration from Mexican culture and folklore, this 2D platformer has brawler style gameplay within a Metroidvania progression system. Here at PlayStation LifeStyle, we loved when the first game, Guacamelee! Super Turbo Champion Edition, finally came to the PlayStation 4, and somehow the sequel was even better than the first game. Now, six years after the franchise originally released, you’ll be able to own a physical version of both games on the PlayStation 4. The list of retailers on Leadman Games’ website includes Amazon, Walmart, Target, and GameStop. You can preorder the game today and also “check your local game stores” to see if they’ll be carrying this edition. Until the Guacamelee! One-Two Punch Collection releases on May 28th on the PlayStation 4 and Nintendo Switch, you can purchase both games digitally on the PlayStation 4, Xbox One, Nintendo Switch, and PC. Will you be picking up this physical edition? Drop-kick into the comments section and let us know. For more physical copies of digital games be sure to see what’s new at Limited Run Games.